We are a College with a national reputation for promoting enterprise, employability and STEM. Based in Devonport, we are within easy reach of the city centre and the University. We are justifiably proud to offer a diverse range of high-quality professional, vocational and technical university-level courses, delivered in partnership with the University. The College was awarded the Teaching Excellence Framework Gold Award in recognition of the high standard of our university-level provision. Build your future with a realistic on-site construction experience, expand your technical knowledge in our fully equipped engineering workshops and explore the latest facilities in our Regional Centre of Excellence for STEM. We pride ourselves on our friendly and supportive environment, where lecture and tutorial groups are kept small to ensure that you get the most from your learning experience and are able to get to know your lecturers and fellow students. Our students are from a diverse range of backgrounds, ages and nationalities and we welcome each student as an individual. To make sure that you achieve the knowledge and skills that employers are looking for, all of our university-level courses have been developed in conjunction with employers, and many of our courses will see you working with industry professionals on work-based projects. As a student on a higher education course, you’ll also have access to our dedicated Higher Education Centre and support teams who can give you careers guidance, learning support and money advice. 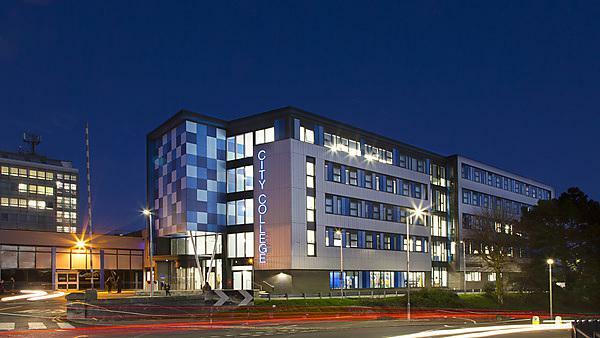 Visit cityplym.ac.uk to find out more.